Comment: Order will be shipped within 24 hours from our UK based warehouse. Clean, undamaged book with no damage to pages and minimal wear to the cover. We offer a full money back guarantee should you not be satisfied with your order in any way. FOR ANYONE WHO IS YET TO DISCOVER THE MUST-READ PSYCHOLOGICAL THRILLER. The SUNDAY TIMES BESTSELLER and the unputdownable RICHARD & JUDY BOOK CLUB PICK that will chill you to the bone . . . When Annie hands her mother over to the police she hopes for a new start in life - but can we ever escape our past? Annie's mother is a serial killer. The only way Annie can make it stop is to hand her in to the police. With a new foster family and a new name - Milly - she hopes for a fresh start. Now, surely, she can be whoever she wants to be. But as her mother's trial looms, the secrets of Milly's past won't let her sleep . . .
Start reading Good Me Bad Me on your Kindle in under a minute. 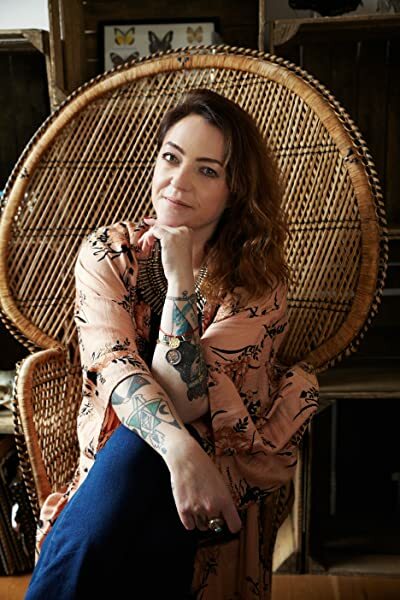 After graduating from university with a degree in mental health, Ali Land spent a decade working as a Child and Adolescent Mental Health Nurse in hospitals and schools in the UK and Australia. Ali is now a full-time writer and lives in London. Good Me Bad Me has been translated into over twenty languages. 2.0 out of 5 starsA good premise that failed to deliver. What a shame. What. Can I say? A thriller. It was. Not. Yes, that's typical of the disjointed sentence structure in ths book, which almost drove me as nutty as the protagonist. I assume the idea was to recreate the disjointed thoughts in Milly's mind, and to add suspense, but it only succeeds in the realms of supreme annoyance. The story unravels with all the haste of a snail, and many characters seem surplus to requirements, as it becomes obvious their presence has no impact whatsoever on the storyline. I'm convinced I've read the scene in the gym with Georgie in another novel at some point, as it seems so familiar, but I can't remember where. I accept that sometimes, authors choose dark, difficult topics, but the trick is to hold back, and not keep shoving the awful details in the readers' faces at every opportunity. Okay, it happens, but we really don't need our noses rubbed in it. Anyway, what is left unsaid often has far more impact than what is said. I'm quite shocked that this has been endorsed by the Richard &Judy Bookclub, as well as The Times. The storyline, while having huge potential, is predictable, plodding and unrealistic, with the reactions of the characters to specific situations ranging from unbelievable to incredulous. Even the ending was predictable, from the outset. This too was implausible. Why wasn't the culprit seen by not only by other people, but CCTV, on the journey either way? How did the culprit know the victim would be at home? Or even more so, put themselves in such a vulnerable position? What was the alternative plan? Too many implausibilities and loose ends.If I'd written the ending, I'd have at least attributed the tragedy to Morgan, proving her commitment to her new friend, having been manipulated. Overall, very disappointing, given all the hype. Haven't even finished this, boring, and hate the way it's told in constant short sentences. Just can't get into it, although I've really tried.... about a 1/3 of the way through when I gave up and looked for something better. Good Me, Bad Me by debut author Ali Land has had such good reviews since it was published last year that I couldn’t resist checking it out. I’m totally glad I did as I was riveted from the start. This is the most powerful, cleverly written book of its kind I’ve read in a while – and oh so dark. A thriller and a family drama with a strong psychological edge. And the ending!!! The premise is startling – the daughter of a serial killer has turned in her mother to the police. Now, while she prepares to give evidence against her mother in court, 15-year-old Annie-turned-Milly is living with a foster family under a new identity to protect her from retribution by parents of the mother’s ten or so victims (all boys), along with presumably her mother and anyone else. Milly’s foster father, the well-intentioned psychologist Mike, makes a habit of rescuing children and is valiantly trying to hold his unappreciative family together: his fragile, unsuited-to-motherhood wife Saskia and their vindictive, insecure daughter Phoebe who develops an instant hatred of Milly and starts bullying her at school. Mercifully, Ms Land does not go into much explicit detail concerning the torture and murder of the boys, beyond occasional references (‘the playground’; ‘little somethings’). The restraint is effective, as is the gradual revealing of what most troubles and nags at Annie/Milly. She asks herself, can I ever overcome the influence of my mother – and which version of me will triumph, the good me or the bad me? Very cleverly, the author kept me in suspense and constantly changing my mind over which path she would take. As Milly befriends another neglected girl who comes from a council estate, whose poverty is in contrast to the foster family’s middleclass privilege, the full meaning of the ‘good me’ and the ‘bad me’ seems to become concrete, ramping up the tension. There are fascinating ideas at the heart of Good Me, Bad Me. How likely is the child of psychopath likely to have similar tendencies, whether through genes or upbringing? Can such a child ever hope to be ‘normal’? Is there ever a real choice to be made between the paths of good and evil, or this something predestined or beyond choice? I could relate to Milly as she tried to do the right thing, while fending off the memories of being brought up by an abusive, self-absorbed mother. And then I felt the rug being pulled away. Milly is an unreliable narrator par excellence, withholding information and her real emotions from both her foster father/counsellor, the art teacher who encourages her, the girl she befriends, the cruel Phoebe and just about everyone around her – as well as the reader, we come to realise as Milly dispenses just enough of the truth to tease and mislead. Highly recommended for lovers of ultra-dark psychological novels. It’s the second ‘evil mother novel’ I’ve read recently (the other being the wonderful Eleanor Oliphant Is Completely Fine), and of the two Good Me, Bad Me definitely wins the most chilling mother award. 5.0 out of 5 starsI'm numb. What a masterpiece. I'll keep this short. 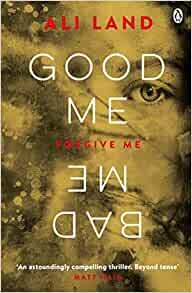 Good Me Bad Me is one of the best novels I read this year. It's dark, disturbing and leaves me breathless. The language is simply stunning and crafted expertly. Ali Land deserves every single bit of praise for this book. I can't wait to read what she writes next. 2.0 out of 5 starsAn entertaining novel but trashy! Quite a page turner and clever in the way the story is revealed but too many caricatures to take it seriously. morgan is a nice character but Phoebe and her gang were painted like Disney baddies so it’s hard to feel any depth in the drama that unfolds. 4.0 out of 5 starsA complex psychological theme but it didn't embrace my attention. . . The subject matter is gritty and in the mould of so much that surrounds the news so often these days, it was brave of Ali Land to take this on and she has worked hard on character development. From my own point of view however, this didn't reach me as I hoped it might, I was expecting a psychological thriller since it is ranked in that genre, it is a psychological theme but it didn't embrace my attention. I didn't warm to the characters and I have come across the irritating name Saskia before and confess to not liking it very much. I tend to think this was aimed at a late teens to early twenties audience. Having made my comments I can understand those who rate it highly, it does have its market and clearly it has reached it but it is not for me. I am being fair though and giving it four stars. Well the beginning and the middle of the book kept me gripped, however the abrupt ending and lacking of further gritty-ness of the court case was rather unfortunate. This was at times a tricky book to read due to the subject matter, but it was rather predictable especially the ending. The ending is left quite open really so don't expect anything to knock you off the edge of your seat, even after the big build up.